If you are looking to use the potential of your Wi-Fi to stream and control the contents of your laptop or desktop computer to your mobile device, then there is a perfect app for you. 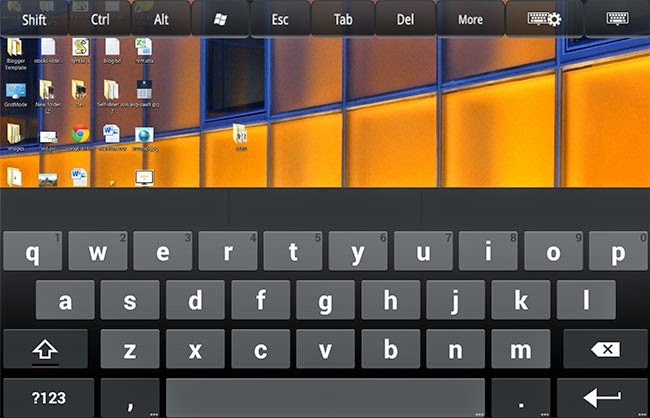 The app is titled "Splashtop 2 Remote Desktop" and is available for both Android as well as iOS phones and devices. Once connected, this app shows your desktop on the screen of your mobile device. You can then use the touch screen interface of your phone or tablet to control your PC. You can do anything that you would normally do but your mobile phone acts as an input medium. This app is free on Android and there is a $4.99 charge at the App Store for iPhone and iPad. The software supports Windows, Macs and Linux machines. 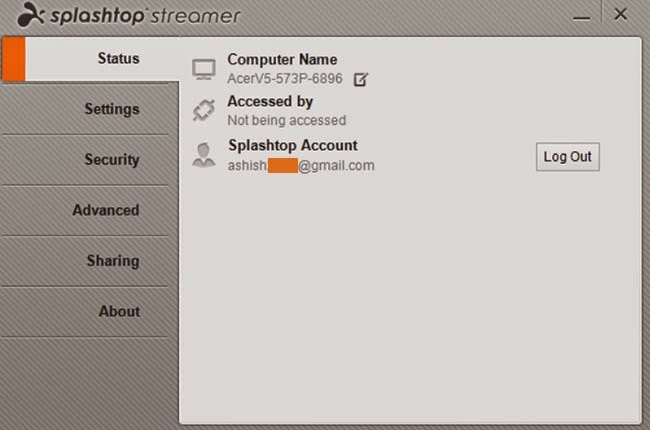 Download Splashtop Streamer for personal use. Install it and log in using the account you registered. Open the Splashtop app and log in. Your PC/Laptop name will be displayed. Tap on it. Your PC desktop screen will immediately stream on your phone. Using Splashtop, control your PC: scroll, read, write, edit, save and move files. All these actions happen in real time. You can also stream games and play desktop games in your mobile device. The audio produced from your PC streams directly to your mobile while the desktop's speakers are muted. It is like having a desktop OS in your mobile phone or tablet but you are actually streaming it. Splashtop works best in a tablet because of its large screen size. From your desktop screener, you can also set security options like requiring Windows password or a security code before streaming. The free version allows you to use this app and software for personal non-commercial use. You can also pay for a membership. If you are a paid user, you can access your desktop even if you are not using the same Wi-Fi network. There might be a delay in streming.